A Humor blog Just for Laugh ~ Cartoon, Jokes, Funny Quotes, Funny Pictures & Photos, Comic Strips, One Liner Jokes, Christmas Humor and Hilarious Stuff. "It's not worth it, Roy! 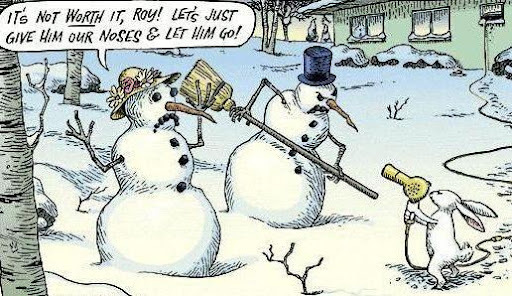 Let's just give him our noses & let him go!" What did Calvin want with those Christmas Lights? Christmas Lights Funny Comic Strip Calvin and Hobbes UFOs ! LAND HERE! "I forgot to make a back-up copy of my brain, so everything i learned last semester was lost." Two Stupid Chickens Cartoon How do i get to the other side? Funny Comic Strip Calvin and Hobbes I don't want to go to school. I don't want to know anything new.